Kerchak's Death. Being a very emotional person, I cinta doing sad crossovers. Kerchak death is one of those sad moments that are often overlooked. 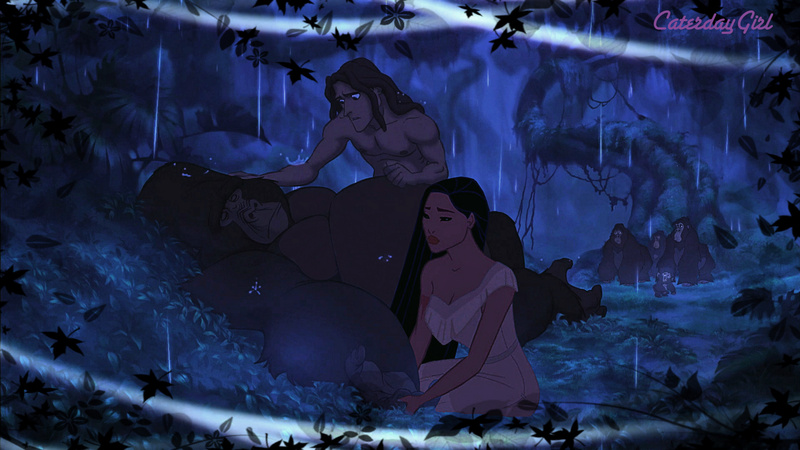 All Tarzan wanted to do is make Kerchak proud but when he finally is he dies.. HD Wallpaper and background images in the disney crossover club tagged: disney crossover tarzan kerchak pocahontas. This disney crossover photo might contain igloo and iglu.